I had wanted to visit Sweden for as long as I can remember. Being equally as fascinated with the endless sun every summer and the lack thereof every winter, it is a place I needed to see with my own eyes. The mountain bike scene has taken off in the past ten years with bike parks, trail networks and riding communities popping up all over. The imagery and incredible riding videos coming out of this beautiful country inspired me to take the leap and experience this country first hand. If I could describe Sweden in 3 words, it would be green, golden, and stylish. Green. Everything is SO green. For a country that is covered in snow for much of the year, it comes out in full bloom when the sun comes out. Golden. 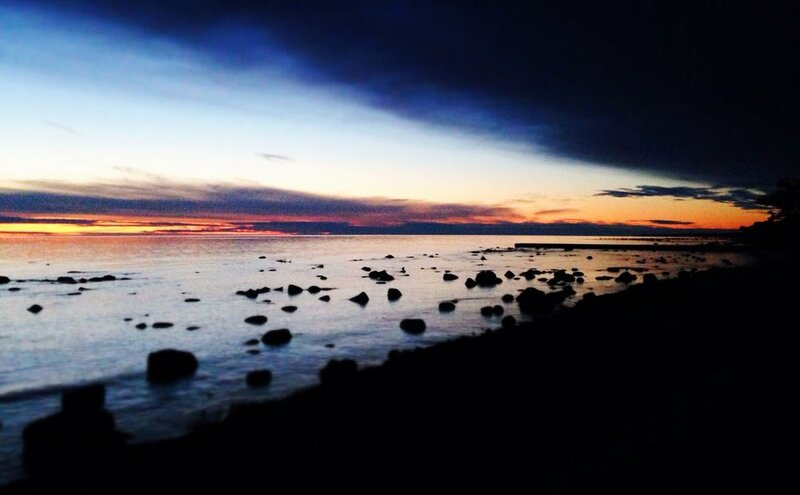 The light in Sweden is unlike anything I have ever experienced, it glows. The sun briefly sets and then rises again, so the golden hour goes on forever. Stylish. Everything in Sweden just oozes style: be it the way people dress, their homes, stores, hotels, cafes, even the airport with its fancy hardwood floors. I have visited Sweden three times now, and I love it more each time for different reasons. It is unlike most of the places I travel; it is clean, it is predictable and efficient. You leave feeling like your body has eaten quality food and you have breathed fresh air. Sweden feels good. 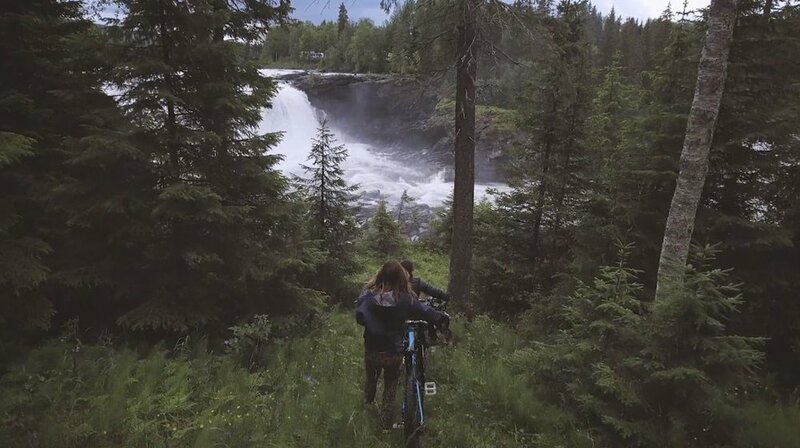 Swedes are quite into their activities, particularly bikes. 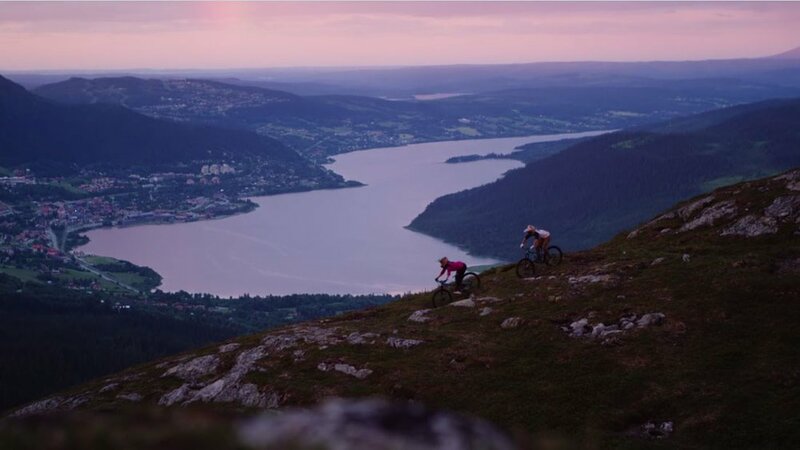 As a result, there is a variety of places to ride throughout Sweden – from endless mountain biking trails and bike parks to the road biking and urban cycling. 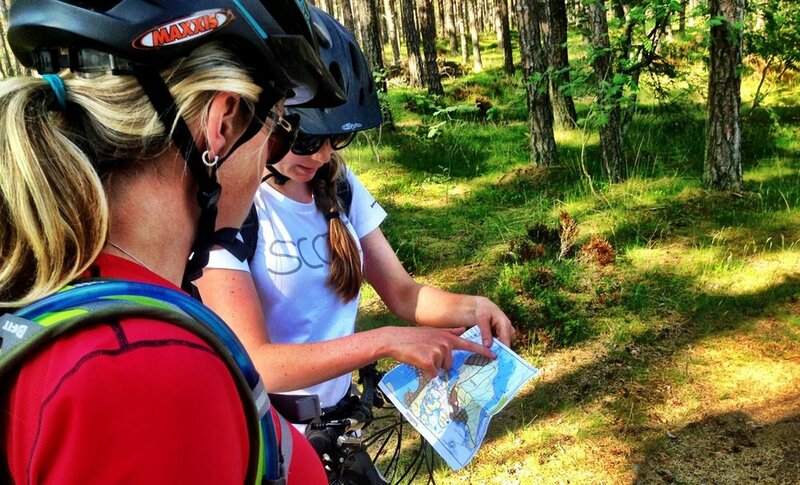 I designed this guide with two riders in mind a mountain biker or a road rider. The country is large and with limited time, there are two main options to choose. Whichever option you choose, I recommend traveling with your own bike. I was taking my best friend to Sweden for the first time, this is what we would ride, see, do, eat and explore! Fly into Stockholm (ARN). From the airport, hop on the Arlanda Express (which runs every 15 minutes from the main terminal) to the city center. Once you are there, you can hop in a cab to your Hotel/AirBnb. While you are in the city center, don't bother with a car – traveling by bike, train or cab is easy. For anywhere outside of Stockholm (and the archipelago) you will want a car. I feel like shouting Airbnb from the rooftops – I love them! I think that they are an excellent way to get more intimate with a place and its communities. Hotels often set the rhythm, and it can be hard to break out of that. Airbnbs are in cool neighborhoods and you get to know a little more of what day to day life is in Sweden, and they are often less expensive. If AirBnbs are not your thing, Scandic hotels have great options at affordable prices and often include breakfast. Once you get out of Stockholm, you will notice that every other house is painted red and white – to get the full Swedish experience, stay in one of these! A trip to Sweden would not be complete without at least a little time in Stockholm. Stockholm is an easy city to navigate with tons of great restaurants, sights, and shops. Bikes are abundant, and drivers are respectful, so you will feel safe and comfortable! I recommend taking out a city bike as you can ride it to various sights, park it, enjoy and pick another up from the same or different location. A couple of notable places you should check out on your cruise, Gamla Stan (the old town), the Palace, the Fotografiska (photography museum), the metro subway art, Rosendals gardenand pretty much any park or garden in Stockholm – there are many. Don't forget to have a Fika in the afternoon. 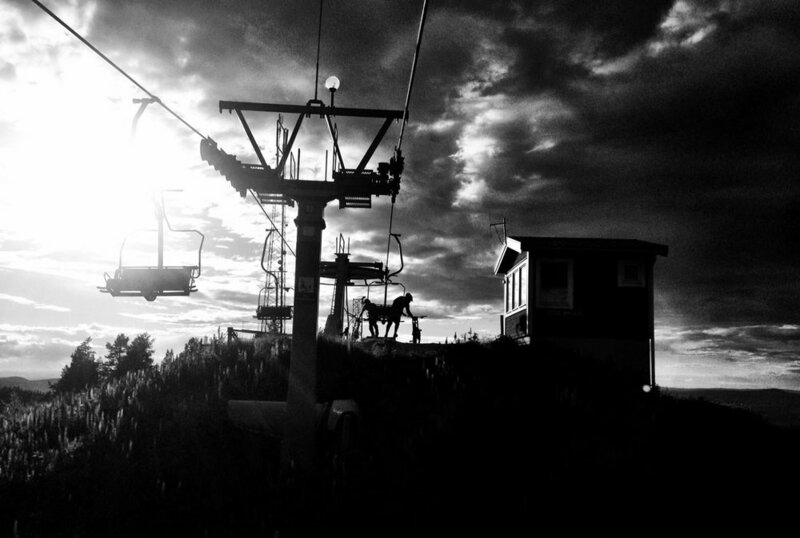 Jarvso has one of the most fun bike parks I have ever ridden – it is small, but oh so FUN! The vibe is relaxed – you can break up your hot laps with gourmet food on comfy couches in the sun! Jarvso was built by the same team that built the famous Whistler Bike Park, and the feel and flow are immediately obvious. Åre is often referred to as the Whistler of Sweden. It is the 'happening' resort with a large bike park and a super cute town to go along with it. There is a large variety of trails in terms of difficulty and style (tech, flow, and alpine) and plenty weekly events to supplement your trip and meet new friends. A couple of cool things to do in Åre in addition to the bike park: visit the local waterfall, swim in the lake and grab a beer at Broken! Outside of the bike parks, there are trails which you can find on Trailforks. An even better option is to befriend a local to show you around! There is something very romantic about the Archipelago – I didn't go there with a partner and I can't quite figure out what it is that makes it so special, but it just exudes this classy romance. You could spend days exploring these islands which are all connected by boats and water taxis. Bikes enable you to really explore and find the hidden spots (and there are many hidden spots on these islands). I recommend either having a home base on one island or traveling light and island hopping. 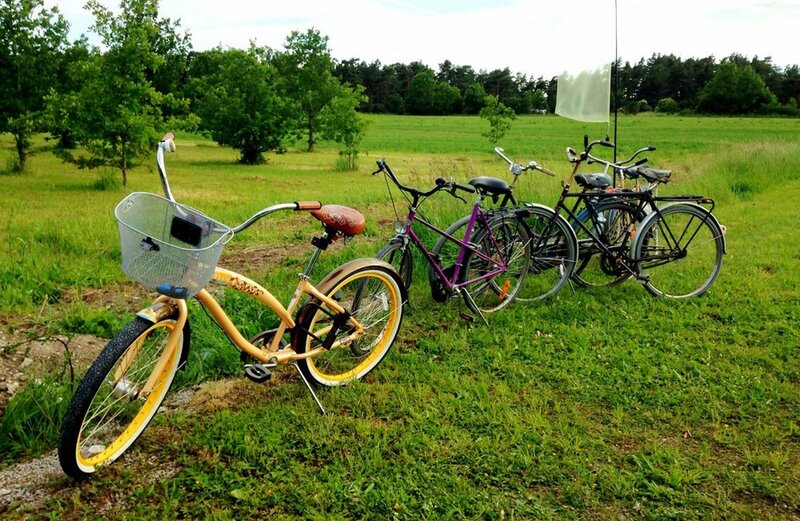 After spending a couple of days island hopping, take a large ferry out to Visby and spend a couple of days exploring this beautiful green island filled with history, cute cafes, bars and beaches. The roads are quiet, and this is an exceptional place to explore by bike. Swedish Meatballs (with lingonberries, potatoes, green beans): you may have tried them at Ikea, but now you get the real deal! Reindeer: Reindeer are plentiful in Sweden, this makes it a must try dish. Gravad lax med Dillstuvad Potatis - THIS IS MY FAV! Salmon, potatoes and creamy dill sauce. Swedish Candies: You can buy Swedish candies out of the bin in nearly every grocery store and market. In my opinion, they are the best candies I have ever tried. Planning your trip around some kind of event can add a fun twist. Midsommar (June): This holiday is amazing. You celebrate summer and the solstice with food, dancing and flower crowns. If you can make it for Midsommar, don't miss it. Åre Bike Festival (July): Åre comes alive for this festival. There are a ton of races, spectator friendly events, a video challenge and all-around great vibes. Cykelvasan (August): The summer version of one of the world’s largest Nordic ski races; a 94 km mountain bike race through Sweden!